The pound has slipped to a one-month low against the US dollar after rumblings of a plot by MPs to unseat Theresa May burst into the open. 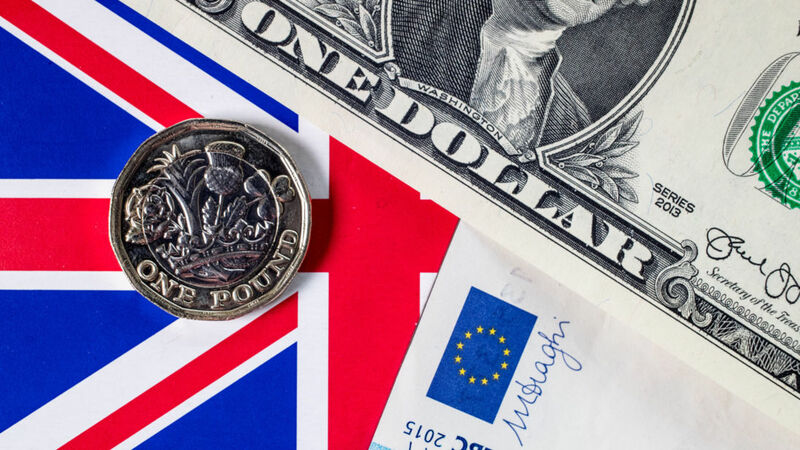 Sterling was nearly a cent lower, dipping close to the $1.30 mark and reversing a period of strength over the last few weeks that had seen it reach its highest level since the Brexit vote. The latest fall came after former Tory party chairman Grant Shapps called on Mrs May to resign - and said that 30 MPs and "one or two" Cabinet ministers agreed. Mrs May says she has the "full support" of her Cabinet. Sterling was also lower against the euro. The pound had climbed above $1.36 in September amid speculation about an interest rise later this year and improved sentiment about the outcome of Brexit talks. But there has since been a reversal in the mood after monthly PMI data showed little signs of improvement in growth prospects and with the Prime Minister's position looking increasingly shaky. Connor Campbell, financial analyst at Spreadex, said another Tory leadership battle would be "seriously bruising for the pound". The pound's fall has helped the FTSE 100 to climb to a two-month high, above the 7,500 mark. That is because the dip boosts the sterling value of the foreign currency earnings by the index's multinational companies.